Nett price including booking & credit card fee (Usual price: US$ 352). Maximum 12 pax per basket. Nett price including booking & credit card fee (Usual price: US$ 418). Maximum 8 pax per basket. Nett price including booking & credit card fee (Usual price: US$ 362). Maximum 12 pax per basket. Nett price including booking & credit card fee (Usual price: US$ 428). Maximum 8 pax per basket. The booking has been closed. Flights available only for upcoming season: 10th October 2018 – 10th April 2019. Book your ticket now to secure the seats early as there is Limited seats! Book on Scapetour for SPECIAL DISCOUNT PRICE (Save US$ 40 per ticket). Once payment is received by us, we will process your booking and we will send your ticket(s) via email within 24 hours (on weekdays). If payment is received on weekend, we will send your ticket(s) on the next working day. Note: We may require to check tickets availability manually. If you would like to ensure to check ticket availability before you purchase, please send us an email to hello@scapetour.com to check ticket availability. We refund FULL amount if your ticket is not available after you have purchased. Please read the Terms & Conditions before booking the tickets. 05.00 - 05.30 - You will be picked up from your hotel to the launch site with our private vehicle. 05.30 - Upon arrival at the launch site, you will be served light breakfast while watching your balloon being inflated by the crews. Then, your pilot in command will give you full safety briefing and flight instructions. 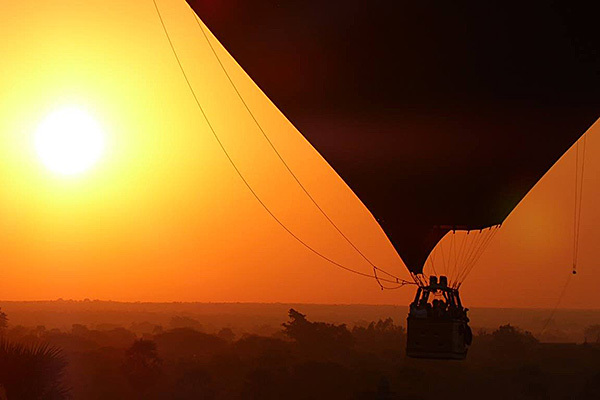 Around 06.15 - 06.30 - Your pilot will commence your Hot Air Balloon flight. 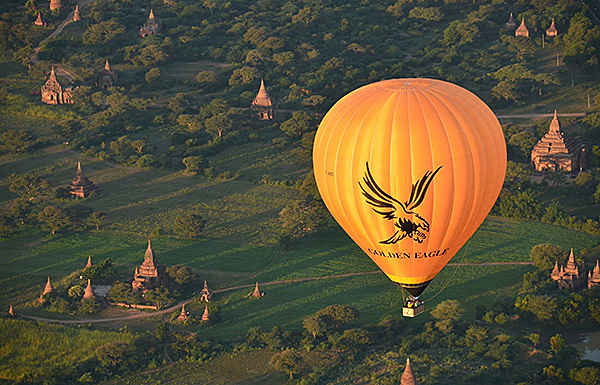 During your flight, your pilot will explain the history of ballooning and pointing out prominent pagodas in Bagan. Around 7.30 - After 35 minutes to 1 hour ride, you will land back in Bagan. 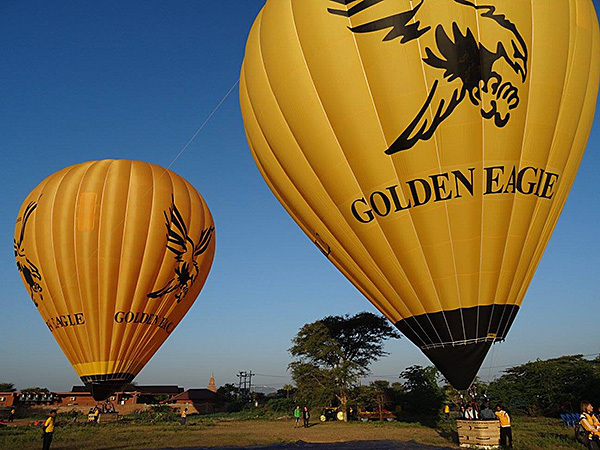 Upon landing, you will be awarded a flight certificate by our pilot and a champagne toast. You will be dropped back at your hotel after that.